Red Hen Press, 9781597096287, 48pp. 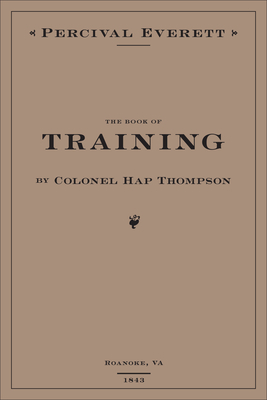 Percival Everett's A Book of Training by Colonel Hap Thompson, of Roanoke VA 1843, Annotated, from the library of John C. Calhoun, is poetry within the harsh confines of a mock historical document--a guidebook for the American slave owner. The collection features lists of instructions for buying, training, and punishing, equations for calculating present and future profits, and handwritten annotations affirming the brutal contents. A Book of Training lays bare the mechanics of the peculiar institution of slavery and challenges readers to place themselves in the uncomfortable vantage point of those who have bought and enslaved human beings.